Trial Lawyers. for the Defense. Offering national-level experience and veteran trial insight, Stinnett Masters & Massey LLP provides defense representation in civil litigation matters throughout Colorado, New Mexico and Texas, and in other states as requested. Our focus is defense. We defend health care providers, businesses and professionals who provide services to others. 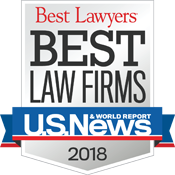 Our clients include dedicated physicians, nurses and hospitals on the front lines of delivering life-saving medical care, attorneys and law firms helping clients navigate legal challenges, and businesses large and small whose activities intersect the justice system in litigation or arbitration proceedings. Lots of law firms litigate. We go to trial. Our attorneys offer clients a proven record of courtroom success and the thorough preparation needed to achieve it. We are often retained as trial counsel on complex and catastrophic cases where exposure is great and victory is uncertain.